Selena Gomez and Justin Bieber’s chemistry is on, again. Well, girlfriend Selena Gomez wishes her BF Justin Bieber 24th birthday in a very different way. They broke, and they are one again. Selena Gomez and Justin Bieber are back together and the couple are dating. Though, there is no official announcement of the couple’s reunion, Selena was recently spotted at boyfriend Bieber’s father’s wedding in Jamaica. The presence of Selena at the wedding was enough to hint all of us that Justin – Selena are back together. Justin Bieber’s These ABSURD Demands For His Purpose Tour To India Are Unbelievable! Still not convinced!? Well, Selena Gomez kinda made it official about her relationship with Justin through a birthday wish. Selena sent her boyfriend Justin Bieber a happy birthday wish in a cryptic message. She captioned an Instagram post writing, “March 1, 1994 someone I know that happens to be super cool was born. Boom.” Obviusly, it is Justin Bieber’s birthday. 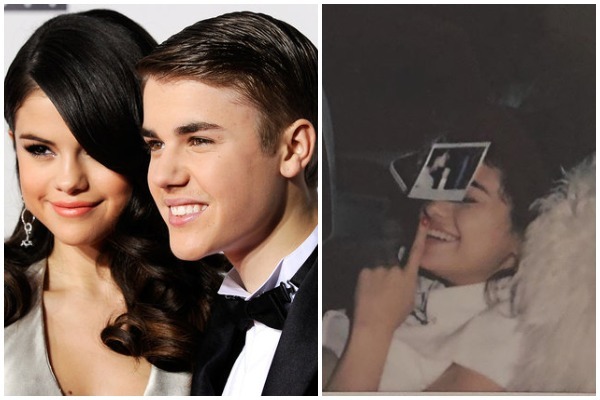 Selena is seen giving a naughty smile, covering her face with birthday boy Justin Bieber’s polaroid photo and creating a buzz with sharing this picture with her 134 million Instagram followers. Selena Gomez , 25 and Justin Bieber, 24, whose dating life was certainly been on and off, started dating for the first time in 2010. The couple’s romance rekindled in October after Selena broke-up with Canadian singer The Weeknd.